The pic is exactly what I needed for the space and customer service was awesome in assisting me. The only thing I'd say is that the item is overpriced as a simple piece canvas without a frame. 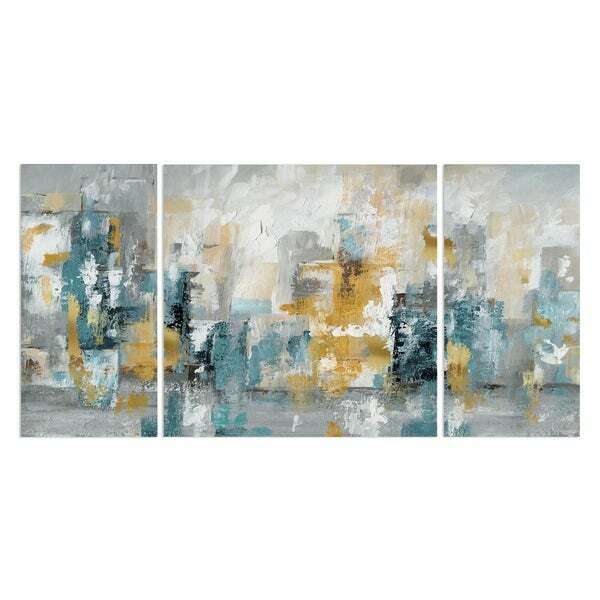 Prepare for contemplative stares when you hang this abstract canvas wall art set entitled 'City Views II.' This set of three panels delivers an instant study in color and form for your wall, ensuring drama and excitement follow it wherever you choose to display it.